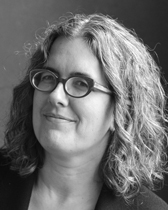 Rebecca Zorach teaches and writes on early modern European art (15th-17th century), contemporary activist art, and art of the 1960s and 1970s. Particular interests include print media, feminist and queer theory, theory of representation, African American artists, and the multiple intersections of art and politics. Before joining the faculty at Northwestern she taught at the University of Chicago for fourteen years. She has been a visiting faculty member at Yale University, the École des Hautes Études in Sciences Sociales, and Williams College, where she was Robert Sterling Clark Visiting Professor in 2013-14. Her books include Blood, Milk, Ink, Gold: Abundance and Excess in the French Renaissance (University of Chicago Press, 2005); The Passionate Triangle (University of Chicago Press, 2011); Gold: Nature and Culture with Michael W. Phillips, Jr. (Reaktion Books, 2016); the edited volumes Embodied Utopias: Gender, Social Change, and the Modern Metropolis (with Amy Bingaman and Lisa Shapiro Sanders, Routledge, 2002), The Idol in the Age of Art (with Michael Cole, Routledge, 2009), Art Against the Law (School of the Art Institute of Chicago, 2014), The Wall of Respect: Public Art and Black Liberation in 1960s Chicago (with Abdul Alkalimat and Romi Crawford, Northwestern University Press, 2017), and Ecologies, Agents, Terrains (with Christopher Heuer, Sterling and Francine Clark Art Institute and Yale University Press, 2018); and the exhibition catalogues Paper Museums: The Reproductive Print in Europe 1500-1800 (with Elizabeth Rodini, Smart Museum of Art, University of Chicago, 2005), The Virtual Tourist in Renaissance Rome: Printing and Collecting the Speculum Romanae Magnificentiae (University of Chicago Library, 2008), and The Time Is Now! Art Worlds of Chicago’s South Side, 1960–1980 (Smart Museum of Art, 2018). Her book Art for People’s Sake: Artists and Community in Black Chicago, 1965–1975 is forthcoming from Duke University Press in 2019. She is at work on a new project that will consider the relationship of artistic and political agency to natural and social ecologies. She is a member of Feel Tank Chicago, is on the board of the South Side Community Art Center and South Side Projections, and co-organizes the archive and oral history project Never The Same with Daniel Tucker (never-the-same.org). Zorach, Rebecca, Abdul Alkalimat and Romi Crawford. The Wall of Respect: Public Art and Black Liberation in 1960s Chicago. Northwestern University Press, 2017. Zorach, Rebecca, and Michael W. Phillips, Jr. Gold: Nature and Culture. London: Reaktion Books, 2016. Zorach, Rebecca, ed. Art Against the Law. Chicago: School of the Art Institute of Chicago, 2014. Zorach, Rebecca. The Passionate Triangle. Chicago: U of Chicago, 2011. Zorach, Rebecca. The Virtual Tourist in Renaissance Rome: Printing and Collecting the Speculum Romanae Magnificentiae. Chicago: Joseph Regenstein Library, 2008. Zorach, Rebecca. Blood, Milk, Ink, Gold: Abundance and Excess in the French Renaissance. Chicago: U of Chicago, 2005.